Main principle of this report is to analysis the Operation of Leasing in Bangladesh, here focus on Prime Finance and Investment Limited. Other objectives are identify the major lease loan providers in the market and analyze their offers to the clients and compare the performances of the current lease loan providers. Report also focus on identify the different processes of appraising a prospective client by the financial institutions. Finally find out market potential for lease loan products and to prepare a guideline for PFI in terms of lease loan offering, process and marketing. Leasing business is gaining increased importance in the economy of Bangladesh with its gradual transformation from an agrarian to industrial one. The government periodically revises the trade and industrial policy to create a liberal business environment both for domestic and foreign investment. Increased investment in the energy sector as well as in power, transport, telecommunications, water and sanitation, and safe disposal of wastes is expected to bring further opportunities for leasing industries. Lease financing was first introduced in Bangladesh in the early 1980s. Industrial Development Leasing Company of Bangladesh Ltd. (idlc), the first leasing company of the country, was established in 1986 under the regulatory framework of Bangladesh Bank. It was a joint venture of the Industrial Promotion and Development Company of Bangladesh Ltd. (ipdc), International Finance Corporation, and Korea Development Leasing Corporation. Another leasing firm, the united leasing company Ltd. started its operations in 1989. The leasing business became competitive with the increase in the number of companies and wider distribution of their market share. Commercial banks and development finance institutions (DFIs) have been the traditional lending institutions in Bangladesh. In fact, the concept of lease financing is a relatively new one in the country. Initially, leasing companies had to adopt the role of educators to make Bangladeshi entrepreneurs aware of the benefits of leasing. However, as DFIs demonstrated poor recovery and fund recycling performances, leasing got the opportunity to develop as an alternative source of funding. A few other factors also contributed to development of the leasing business in the country. For example, the commercial banks have been keener in providing trade financing and Foreign Exchange dealings rather than long-term loans because of the risks involved and their longer gestation period. The selection of lease proposals is relatively free from extraneous pressure and is subject to a quality level appraisal. Under lease agreements in the private sector, projects are sanctioned and implemented expeditiously, resulting in benefits in time and cost savings. Private leasing companies also attract clients by providing relatively better services. The down payments in leasing are not high and the gestation period is low. Also, in case of lease financing, incidental costs incurred in the process of import clearing, installation, and commercial production are capitalized, which substantially reduce the initial investment. Leasing companies, however, face some problems in conducting their business in the country. The relatively slow growth of the demand side compared to the fast growth of the lease business is one such problem. This leads many leasing companies to operate in partial capacity. The culture of loan default that prevails in the country is also a deterrent. Leasing companies often find it difficult to raise funds through short- or long-term borrowing from money and capital markets. They are hard pressed to deal with the financial assets because of the present laws of the country, which are also not fully enforceable. This report is written as a fulfillment of the internship Program of MBA degree by Mohammad Fuad Shahariar, Roll # 663, 5th Batch MBA Program for Chairman, Internship and Placement Committee, Faculty of Business Administration, University of Dhaka. To develop a clear idea about the leasing sector in Bangladesh. To get a thorough know-how about lease loan financing in Bangladesh. To identify the major lease loan providers in the market and analyze their offers to the clients. To compare the performances of the current lease loan providers. To recognize the customers’ perspective of the story – what criteria they look into before choosing a financier. To identify the different processes of appraising a prospective client by the financial institutions. To find out market potential for lease loan products. To prepare a guideline for PFI in terms of lease loan offering, process and marketing. Lease is a contract between the owner and the user of assets for a certain time period during which the second party uses an asset in exchange of making periodic rental payments to the first party without purchasing it. Under lease financing, the lessee regularly pays the fixed lease rent over a period of time at the beginning or at the end of a month, 3 months, 6 months or a year. At the end of the lease contract the asset reverts to the real owner. However, in case of long-term lease contracts, the lessee is generally given the option to buy the leased asset or renew the lease contract. The three major types of leases are the operating lease, financial/capital lease and the direct financing lease. The operating lease is a short-term lease contract where the lessor bears all operating and repairing costs of the asset and the lessee pays periodic rental payments to the lessor, and where the lease is cancelable, and there is no bargain purchase option. Financial/capital lease is a long-term lease contract where the lessee bears all operating, repairing and maintenance costs, and makes periodic rental payments to the lessor. The lease is not cancelable and the lessee has the option for bargain purchase or renewal of lease contract at the end of the original lease period. In a direct financing lease, the lessor leases the asset by manufacturing or by purchasing from the manufacturer to the lessee directly and the lessee makes regular rental payments to the lessor. The lessor holds the ownership of the asset until the end of the lease period and the lessee holds the possession of the asset. In addition to these major types, there are some other types of lease such as sale and lease and leveraged lease. Legally, others define a leasing company as one having the business of hiring plants or equipment or of financing their hire. The International Finance Corporation promotes leasing as a method of financing industrial development in the developing countries as a part of its Capital Market development strategies. “An agreement where the leaser receives lease payments to cover its ownership cost. The lessee is responsible for maintenance, insurance, and taxes. Some finance leases are conditional sales or hire purchase agreements”. Legally, others define a leasing company as one, having the business of hiring plants or equipment or of financing their hire. The International Finance Corporation promotes leasing as a method of financing industrial development in the developing countries as a part of its Capital Market development strategies. Under lease financing, the lessee regularly pays the fixed lease rent over a period of time at the beginning or at the end of a month, 3 months, 6 months or a year. At the end of the lease contract the asset reverts to the real owner. However, in case of long-term lease contracts, the lessee is generally given the option to buy the leased asset or renew the lease contract. Where as Leasing, one of the financing techniques, allows a company to use some of its operating fixed assets (i.e. buildings, plant and other fixed assets) under a rental system. In certain cases, the company may purchase the asset at the end of the contract for a pre-determined and usually very low amount. A leasing transaction is called a lease. The current (discounted) amount of the lease payments over the length of the lease agreement shall exceed 90% of the price of the transferred leased asset. The leased asset may be any non-consumable good, including companies, property complexes, building and structures, equipment, transportation, land, and other movable and unmovable property. Leased assets cannot be natural resources, and property barred or restricted from general public circulation. Suppliers may be any physical person. If the original lease agreement is terminated, the sublease agreement is automatically terminated, if this point is not otherwise addressed in the lease agreement. Leasing legislations throughout the region create a clear balance of rights and obligations for each party to the lease, equally defending the interests of each party. A progressive aspect of the legislation is that the norms in the legislation are based on imperative law, which means that even though the legislation contains concrete principles of behavior that must be observed; at the same time, the parties to the lease also must have the right to decide upon the extent of their rights and obligations, observing the concept of freedom of contract. The lessor is not accountable to the lessee for the non-fulfillment of the sale-purchase contract, except for those cases in which the selection of the supplier and the leased asset was conducted by the lessor, as well as in cases when non-fulfillment of the sale-purchase contact was the result of the wrongful acts (omissions) of the lessor. The lessee has the right to address all the claims which stem from the sale-purchase contract directly to the supplier even though the lessee is not the party to that contract. As a result, the legislation imposes an obligation on the lessor to notify the Supplier about the purpose of purchasing an asset for lease. Will the insurance premiums compensate which party? Which insurance company will be used and who will select the insurance company? Who will receive compensation from the insurance company, and how will this compensation be used? The Law on Financial Leasing has introduced the concept of a secondary lease or a secondary transfer of the leased asset to another lessee following the end or termination of the initial lease agreement. In this way, the law allows for the return of the leased asset to the lessor, and in the case of repossession following default, the subsequent transfer of the returned leased asset to a new lessee. The law furthermore states that in the case of secondary leasing , the lessor is obligated to inform the supplier in written form that the leased asset has been transferred to a new lessee for use and possession within one month after the transfer. In the case of a secondary lease, the lessor is considered the party, which selected the supplier and the leased asset. Fees for the provision of the lease. Interviews with lessors indicated that repossession of leased assets through the court system has operated fairly efficiently. However, court decisions are not always provided in a desirable time length that meet the needs of the lessor as inactive leased assets and unpaid lease payments could quickly result in losses to the lessor. For this reason, Kazakhstan has also implemented non-court mechanisms to repossess the leased asset. The Law on Financial Leasing allows for the right of non-disputed repossession of the leased asset on the basis of court order for use in those cases in which the lessee admits fault but does not return the leased asset. To take advantage of the court order proceedings, the lessor must officially submit a claim to the court, which within three days issues a court order, a copy of which is sent to the lessee. The lessee has the right within 10 days to submit its objections to the court. If the lessee files an objection, the court must cancel the court order as the court order proceedings can only be used on the basis of non-disputed demands. If within the 10-day period, the lessee does not submit any objections, the court order is executed and enforced in the manner prescribed, and the lessor can repossess the leased asset based upon the court order. This repossession procedure provides the lessor an alternative and more effective method to defends its interests. The lessor’s business license must have a scope of business that includes financial leasing operations. The “lessee” is defined as any natural person or enterprise/company that enters into a financial leasing contract with the lessor to obtain funds to finance the acquisition of the leased property, and to obtain the right of possession and usage by paying the rent on the agreed terms. The “leased property” is defined as any real property and movable durable property (including the accessory technologies), other than natural resources. Examples include (i) equipment, machinery and instruments; and (ii) vehicle, vessels, aircraft and space shuttles. The Outline does not distinguish between commercial and consumer leases, although other consumer protection laws are also under consideration. These laws could affect financial leases with consumers. Leased property (other than real property, aircraft, vessels and motor vehicles) must be registered at the State Administration of Industry and Commerce, the government authority in charge of registration of mortgage or security interests of movable assets, or with any industry association authorized thereby. Such registration is needed to protect the parties’ interests against bona fide purchasers or creditors. The financially leased property is excluded from the bankruptcy estate of the lessee. If the lessee fails or delays in making a rental payment, the lessor may terminate the contract and repossess the leased property. In general, the financial lease term should be shorter than the permissible period for depreciation for the leased property, but in no event less than 20% of the depreciation period. The financial lease rent shall be determined by the cost of the leased property, plus the reasonable profit of the lessor, unless otherwise agreed by the parties. If the cumulative past-due rent is more than one-fifth of the rent under the financial lease or the number of defaults in making the rental payments exceeds one-fifth of the total number of the rental payments, the lessor may demand immediate payment of all the rental payments or terminate the financial lease repossess the leased property and recover damages including expenses. However, the total amount of the compensation cannot exceed one-fifth of the total rent under the financial lease .The lessee may not prevent the lessor from exercising its right of repossession or resist the lessor in this regard. When the lessee possesses the leased property, unless otherwise agreed upon by the parties, any damages, losses and risks to the leased property shall be the sole responsibility of the lessee. The functions of a lease business include lease financing, short-term financing, house building financing, and merchant banking and corporate financing. In this last group of functions, the leasing business in Bangladesh moved away from regular leasing activities and is now involved in stock-market related activities such as issue management, underwriting, trust management, private placement, portfolio management, and mutual fund operation. Broad capital market operations of the lease financing institutions include bridge financing, corporate counseling, mergers and acquisition, capital restructuring, financial engineering, and lease syndication. Prominent among the sectors of the economy that now receive lease financing services are textiles, apparels and accessories, transport, construction and engineering, paper and printing, pharmaceuticals, food and beverage, chemicals, agro-based industries, telecommunications, and leather and leather products. The company commenced leasing business on 22 February 1986. It became a listed company in the Dhaka Stock Exchange on 20 March 1993 and in the Chittagong Stock Exchange on 25 November 1996. IDLC started to accept deposits after receiving the license from Bangladesh on 10 September 1994. On 7 February 1995, Bangladesh Bank gave it the license to operate as non-bank financial institution under the Financial Institution Act 1993. IDLC has a significant contribution to capital asset financing to private sector industries in Bangladesh. Its business focus in the early years was in the area of 3-5 years term financial leasing with particular emphasis on balancing, modernization, replacement and expansion of existing units. Driven by the demand for funds from different classes of people and the competition with other similar institutions, IDLC diversified its functional areas into other financial services including short-term finance, corporate finance and merchant banking activities. ULC was set up with the objective of introducing a new instrument of finance to assist mainly the private sector industries. The paid up capital of the company is 70 million Taka out of which foreign and domestic sponsors held 40.29% and 33.57% respectively and the remaining 26.14% was held by institutional shareholders (19.46%) and the general public (6.68%). The company provides lease financing for various types of machinery and equipment including vehicles for industrial, commercial and agricultural purposes. It invests in sectors such as transport, electric and electronic goods, leather, textile, printing, marine vehicles and equipment, steel and engineering, fishing boats and trawlers, medical equipment and small-scale industries. The company first purchases a property in its own name and pays the total price to its supplier. After accumulating and adding all other relevant/incidental costs with the original purchase price, it determines the lease price of the property and then signs lease contracts with the lessee for a period of two to five years. Lease contracts require security or collateral from the lessee in various forms and lease installments are determined on the basis of price of the properties to be leased and other relevant factors. On the expiry of the lease periods/contracts, the lessee can gain the ownership of the leased property/equipment upon payment of 5% of transfer value of the equipment as salvage value of that property. Alternatively, the ownership and physical possession of the property goes back to the lessor. International Leasing and Financial Services Limited (ILFSL) a jointly owned equipment leasing and financial services company incorporated in Bangladesh on 15 January 1996 as a public limited company under the Companies Act. It obtained license from Bangladesh Bank on 19 February 1996 and commenced business on 24 March 1996. The company was established with an authorised and paid up capital of Tk 300 million and Tk 60 million respectively. The clients established the company to carry out the business of leasing all kinds of industrial, agricultural, commercial, scientific, electrical and electronic equipment and machinery, and vehicles for all possible uses. It also provides other financial services including long-term loans to customers of selected groups. It was recently allowed to participate in merchant banking activities ie, to act as issue manager and underwriter of public issues of shares and debentures. A 7-member board of directors manages the company. The managing director is the chief executive of the company. In 2000, the company had a total of 21 employees including 13 executives. Bay Leasing and Investment Ltd.
Bay leasing and Investment Ltd. is locally owned company. The major shareholder of the company is Mr. Motlub Ahmed, who holds 50% of the company share. Several individuals own the other shares. It went into operation in May 1996. The company’s initial target is to finance prospective clients only on transport sectors like bus, trucks etc. They have made an arrangement with Nitol Motors for financing bus and truck that Nitol supplies. The paid up capital of the company is 25 million taka. Bangladesh Leasing Finance Company Ltd.
Bangladesh Leasing Finance Company Ltd is another joint venture leasing company, which haven’t started their operation. The major shareholders of the company are Pakistan Industrial Leasing Corporation Limited (30%), Netherlands development Finance Company (20%), M. M. Ispahani Limited (25%), Green Delta Insurance Company (12. 5%) and Delta Life Insurance Company Ltd (12.5%). The company’s paid up capital is 150 million. (IDCOL) a Non-Bank Financial Institution established in Bangladesh in 1997 as a government owned public limited company to promote participation of the private sector in investment in infrastructure facilities and in operation, ownership and maintenance of them. On 30 June 2001, the authorized and paid up capital of the company was Tk 100 million. IDCOL provides long-term senior and subordinate debt financing for viable infrastructure projects in the private sector. The company finances projects of power generation, telecommunication, urban environmental services, gas and gas related infrastructure, ports, toll roads, water supply, and other infrastructure development. The company has a preference for build-own-operate and build-operate-transfer type of projects. It finances up to 40% of the total project costs and to be eligible for its funding support, the project must meet the government’s priority criteria. The company is managed by a 7-member board of directors appointed by the government from amongst senior government officials and prominent entrepreneurs. A team of project-finance advisors of international repute assists the board. An 11-member management team assists the chief executive officer (CEO) of the company in carrying out its day-to-day business. It is a leasing and financing company registered in Bangladesh as a public limited company under the Company Act and as a Non-bank Financial Institution under the Financial Institutions Act 1993 with license from the Bangladesh Bank to transact all kinds of leasing and financing businesses. The company assists industrial and other productive sectors through investment in sustainable projects in the form of lease and other long-term finance. It participates in the Capital Market by investing in shares and debentures, acting as issue, fund and portfolio manager, providing bridge and syndicated loans, and underwriting public issue of shares and debentures. Corporate finance and consumers’ credit financing are also included in the functions of the company. The company provides lease financing for machinery and equipment of large and medium scale industries, marine vessels and equipment, generators and boilers, lifts/elevators, ice plants, air conditioners, vehicles of all types for use in industrial or commercial purposes, medical instruments, light and heavy agricultural equipment, computer hardware and software, and some durable consumer items. Leasing in Bangladesh, like in many of its peer countries, owes its origin to the efforts of the International Finance Corporation (IFC), Washington. At the instance of IFC, the first Leasing Company in Bangladesh, Industrial Development Leasing Company of Bangladesh Ltd. (IDLC) was set up in 1984 and commenced its operations in 1986, with a 20% shareholding from Korea Development Leasing Corporation. For several years, IDLC remained the sole leasing company in Bangladesh. However, the real momentum began in the 1990s. The country’s central bank, Bangladesh Bank, put in place a regulatory mechanism under the Financial Institutions Act 1993 and the Financial Institutions Regulations 1994. In 1997, there were 15 leasing companies in the country. Besides, some of the banks and financial institutions also added leasing divisions to their existing operations. Leasing in Bangladesh is a “financial business” and cannot be carried on except in terms of a license granted by Bangladesh Bank. Sec. 4 of the Financial Institutions Act prohibits any person or institution from carrying any “financial business” in Bangladesh except in accordance with a license granted by the Bank. Sec. 2 (1) defines “financial business” as the business carried on by a financial institution. “Financial institution” as defined in sec. 2 (2) includes a leasing company. “Leasing company” is defined in sec. 2 (17) of the Act as a company, which carries on as its business or part of its business hiring of plant or equipment, or the financing of such hiring business. A first look at the definition suggests that even if a company, otherwise engaged in a manufacturing or non-financial activity, carries on a leasing activity as a part of its business, such company would be treated as a “financial institution” under the Act. This, however, could not be intent of the lawmaker as demonstrated later. The use of the words “part of its business” in sec. 2 (17), not found in definitions of other varieties of financial institutions in the Act, seems to be a surpluses and cannot lead to a technical extension whereby even a single lease transaction by a non-leasing company would bring such company under the fold of the Act. The central definition in the Act is the definition of “financial institution” in sec. 2 (2). It is defined as “such non-banking financial institution, which is engaged in…..”. Apparently, what sec. 2 (2) enumerates are categories of financial activities such as lending or giving of advances, merchant banking, venture capital, leasing, Investment Company, etc. The definition is not divested of the element of principality of such business in order to characterize a company as a financial institution. For example, giving of loans or advances is a financial business. But that cannot be taken to mean that a manufacturing company, which in case of a short-term surplus in its business, grants a loan to someone, will be treated as a “financial institution”. In other words, the principal business of an entity should be one of the several financial businesses listed in sec. 2 (2). In many markets, leasing has flourished because of its tax appeal: leasing has been organized for high-net worth individuals to shelter against their taxes. That is, a high net worth individual may do one lease transaction, not as his principal business, and shelter his taxes. In many cases, an individual may participate in a lease syndicate organized by a leasing company. Restricting leasing to only leasing companies would eliminate any possibility of leasing activities being carried, on a one-off basis, by manufacturing or non-financial companies. This is a common practice in many countries. A non-leasing company, say a hotel, would carry one lease transaction and shelter against its taxes. Securitisation of lease receivables is a very important development in leasing markets. In strict sense, securitisation means participation in leasing transaction by the participants in the securitised portfolio. A literal ban on “financing of a leasing transaction” would inherently imply a ban on participation in a securitised portfolio as well. Apparent from the definition of sec. 2 (17) is the intent that only corporate bodies should be allowed to engage in leasing business. What can leasing companies do? There are no restrictions in the Act in leasing Companies undertaking non-leasing activities. Apparently, leasing companies can engage themselves in other financial businesses, principally hire purchase. Most leasing companies in Bangladesh currently do not take up hire-purchase or long-term corporate lending activities, though they do have exposures in money markets such as bills discounting, short-term deposits etc. There is a bar in sec. 15 in leasing companies taking up any non-financial business such as import, export, retail or wholesale business. Hire purchase, it may be noted, is clearly covered by sec. 2 (2) (c) of the Act. The Act empowers the Bank to fix minimum capital for leasing companies. Opening of offices and branches is also regulated. Sec. 10 prohibits a financial institution from declaring any dividends without fully writing off all direct and administrative expenses, share issue expenses, brokerage, losses, and other capitalized expenses. Not to provide any unsecured loan facility exceeding Tk 5 lacs to any person; it may be noted that in the language of the Act, a lease transaction will be treated as a secured financing since the lessor retains title over the asset, etc. Not to acquire immovable properties exceeding 25% of its paid-up capital and reserves. Companies accepting deposits from individuals shall maintain 10% of their aggregate liabilities invested in prescribed securities. Each company every year shall transfer at least 20% of its divisible profits to a reserve fund, unless the aggregate of its share premium along with such fund is equal to or more than the paid up capital of such company. Leasing is an asset renting activity, and is therefore, governed by common law. The Contracts Act 1872 applies to contracts of leases. Sections 148 to 171 of the Contracts Act cover provisions relating to bailment. As these provisions are identical to those applicable under English law, the chapter devoted to general law of leasing adequately covers the law in Bangladesh as well. It may be noted that the general law of contracts is limited to bailments of “goods”. “Goods” include movable property only – immovable property is not covered by common law. As it the common feature of all Anglo-Saxon legal systems, transactions in immovable properties are covered by a separate system of laws. The taxation system in Bangladesh has been a subject matter of criticism over a last few years. The system is characterized by a large number of incentives, tax holidays and concessions as a result of which the share of corporate taxation to total tax collection by the Govt. has come down drastically over the past few years. Taxes on corporate profits, of both domestically and foreign owned companies amounts insignificant as a 0.95% of GDP in Bangladesh, compared with more than 6% in developed nations. The main reason cited for this low contribution is the tax incentives granted by the Govt., which are very liberal as compared to its counterpart countries. It is probably with tax reform in view that the Govt carried out certain reforms in depreciation laws in Budget 1998-99. Among other provisions, the important change that would have a far reaching effect on leasing companies is the change in depreciation system by scrapping of initial year depreciation allowance, extra shift allowance and normal depreciation, replaced by a single rate of normal depreciation. There are apparently no rules to distinguish genuine lease transactions from plain financing transactions. This is one of the most important rules to have in a developing market and an important lesson can be learnt in this regard from India. A lease, in order to qualify for tax deduction, has to be different from a plain financial transaction. Evidently, no depreciation benefit can be claimed in case of a transaction of simple financing of an asset. In addition, one must also appreciate that if an agreement has the color of a lease transaction but in essence is nothing but a financial transaction, the outer form of the transaction will be ignored, and based on its intrinsic substance, it would be reckoned as a financial transaction. The meaning of the above is that if a lessor in Bangladesh writes a lease transaction that has the legal form of a lease, but is in substance nothing but a financing transaction on the security of an asset, such lease will not be regarded as a lease but as a secured financing. Obviously, it is not enough to call an agreement a lease agreement: in taxation, nomenclatures are ignored and the reality is looked into. To guide parties as to what are the important attributes of a lease transaction that would distinguish it from a financial transaction, one would find, in advanced leasing markets, detailed rules or standards that define a true lease. In absence of such guidelines, it is quite common, particularly in nascent stages of development of an industry, for players to make mistakes, which turn out to be costly both for the revenue and for the players themselves. India, like Bangladesh, does not have true lease guidelines. As a result, around 1987-1989, when leasing grew very rapidly in the country, a number of lessors wrote leases for assets that never existed. There was obviously no intent to cheat the revenue, but such practices were founded on a premature belief that all agreements, which look like lease agreements will be acceptable for, tax purposes. Even today, in spite of the fact that India today is a mature market compared to many others, a number of Indian lessors make mistakes, which would only prove to be fatal over time. The trouble with a no-rule regime is that it encourages unintentional malpractices. Of course, tax avoidance and evasion can exist even where there are elaborate rules, but the trouble with absence of rules is that it breeds innocent non-compliance. Bangladesh must notify true lease guidelines, and sooner the better. It must, most importantly, educate taxpayers on what is the elementary distinction between a lease and a hire-purchase transaction, since in the latter case; the lessor cannot claim depreciation. The difference between lease and hire purchase transactions is a crucial difference for all countries that allow depreciation based on ownership of an asset. It is a basic rule of law that “ownership” for tax purposes is not merely legal ownership – it must be backed by beneficial ownership. Beneficial ownership implies the right to attain benefits of ownership at some point of time. In a hire-purchase transaction, the legal owner (finance company) cannot be treated as beneficial owner, since, having provided the user with a right of purchase; the owner has divested himself of beneficial interest completely. Currently in Bangladesh many of the lease transactions are in fact hire-purchase transactions, as the sale of the asset to the lessee, even if not incorporated in the contract of lease, is mostly inherent and pre-agreed. This practice, which in opinion of the author will be a problem over time as the revenue officials get more of education on lease taxation, can be resolved either by proper training or by a proper law. Non-bank Financial Institutions financial intermediaries that accumulate funds by borrowing from the general public and lend the same to meet specialized financing needs, but are prohibited to accept such deposits payable either on demand or by cheque, draft, etc, and operate checking accounts for which their liabilities are not a part of the money supply. The first non-bank financial institution (NBFI) was a fire insurance company established in 1680 in London. A leasing company receives additional funds and is capable of adding to its mortgage lending by withdrawing from its larger demand deposits kept with the deposit money bank. The leasing company thus adds to the volume of credit and enables additional spending (on house purchase) to take place. The combination of financial assets created by the banks and NBFIs for ultimate lender varies depending on the origin of the asset. The operations of NBFIs in Bangladesh are regulated by the Bangladesh Bank. The grant of authority to engage in borrowing from the general public is normally based on such factors as minimum capital requirement, quality of management, compliance with the concerned laws, rules, and regulations, and stability of financial standing. NBFIs may grant loans to their members and the general public up to a certain amount and may also engage in trust functions with prior permission of the central bank. They are not allowed to engage in foreign exchange transactions. NBFIs are specialists of the intermediation process and their origins can be traced to the development of specialized financial institutions. Some survived centuries of changing economic and financial developments. Others appeared in response to special opportunities or needs and have disappeared just as quickly. Their survival and existence depend upon their ability to (a) offer contracts that serve the needs of specialized customers, (b) maintain a spread between the rate they pay for funds and the rate they receive that will support their costs, and (c) meet commitment to suppliers of funds. The non-bank financial sector has a wide diversity of institutions. Despite their importance as alternative sources of finance to the commercial banks, their liabilities may nevertheless be regarded as ‘near money’. The most important NBFIs, among others, are the building societies, hire purchase companies, leasing companies, mortgage companies, insurance companies, saving banks, pension funds, investment companies, investment trusts, security dealer/brokers, pawn shops, central provident fund (CPF), post office saving banks, discount houses, securities companies, fund managers, venture capital companies, stock exchanges, and factoring companies. The non-bank financial institutions operating in East Pakistan were the Industrial Development Bank of Pakistan, Equity Participation Fund, Pakistan Industrial Credit and Investment Trust Corporation, Investment Corporation of Pakistan, National Investment Trust and insurance companies. Such institutions established in Bangladesh in the 1970s include the House Building Finance Corporation (1973) and the Investment Corporation of Bangladesh (1976). Other NBFIs established in the country up to 31 August 2000 are United Leasing Co., Industrial Development and Leasing Company, Industrial Promotion and Development Company, Saudi-Bangladesh Industrial and Agricultural Investment Company, Phoenix Leasing Company, Union Capital, Uttara Finance and Investment, UAE-Bangladesh Investment Company, International Leasing and Financial Services, Prime Finance and Investment, Bahrain Bangladesh Finance and Investment Company, Bay Leasing and Investment, Delta-BRAC Housing Finance Corporation, Vanik Bangladesh, Peoples Leasing and Financial Services, Infrastructural Development Company, Bangladesh Industrial Finance Company, National Housing Finance and Investment, MIDAS Financing, First Lease International and Bangladesh Finance and Investment. These institutions extended their business in industrial, commercial and housing financing, and in the stock market activities. They are also granted permission by the Bangladesh Bank to participate in the inter-bank money market transactions. As on 31 December 1999, the total paid up capital and reserves of these NBFIs in Bangladesh stood at Tk 5.885 billion and their investment in different sectors totaled to Tk 12.087 billion. Bangladesh Bank is empowered to oversee and regulate the affairs of the NBFIs under the provisions of the Financial Institutions Act 1993 and the Financial Institutions Rules 1994. To improve the quality of financial intermediation and meet up the growing needs of funds for financing investments in different sectors of the economy, the government intends to intensify the financial market by granting permission to establish private NBFIs in conjunction with the private commercial banks. At present, non-bank financial sector of the country comprises investment and finance companies, merchant bankers, leasing companies, mortgage banks, insurance companies, and the Capital Market Although small, the NBFI sector in Bangladesh is a growing component of the entire financial sector and NBFIs as a group create an opportunity to improve financial intermediation for the economy. NBFIs account for only 4% of the assets of the financial sector, compared to 70% accruing to the nationalized commercial banks (NCB) and 25% to the local private banks. NBFIs, however, account for 25% of the term financing (FY 1998-99) through leasing, project finance and merchant banking activities. The volume of term finance they provided increased at the rate of 41% per annum, while that of the NCB decreased by 40% between 1997 and 1999. The financial system of Bangladesh consists of Bangladesh Bank (BB) as the central bank, 4 nationalized commercial banks (NCB), 5 government owned specialized banks, 30 domestic private banks, 10 foreign banks and 28 non-bank financial institutions. The financial system also embraces insurance companies, stock exchanges and co-operative banks. Bangladesh Bank (BB), as the central bank, has legal authority to supervise and regulate all the banks. It performs the traditional central banking roles of note issuance and of being banker to the government and banks. It formulates and implements monetary policy manages foreign exchange reserves and supervises banks and non-bank financial institutions. Its prudential regulations include: minimum capital requirements, limits on loan concentration and insider borrowing and guidelines for asset classification and income recognition. BB has the power to impose penalties for non-compliance and also to intervene in the management of a bank if serious problems arise. It also has the delegated authority of issuing policy directives regarding the foreign exchange regime. Under the new interest rate policy, which became effective in January 1990, all deposit rates are decontrolled. The market, except for exports, freely determines all lending rates. In January 1996, BB announced a new policy on Capital Adequacy along the lines recommended by the Basle Committee on banking supervision. The Revised policy on capital adequacy requires scheduled banks to maintain at least 9% of off-balance sheet risk and risk in different types of assets as capital. Bangladesh Bank introduced new accounting policies with respect to loan classification, provisioning and interest suspense in 1989 with a view to attaining international standards over a period of time. A Revised policy for loan classification and provisioning was introduced from 1st January, 1999.The Revised policy calls for an independent assessment of each loan on the basis of qualitative factors and objective criteria. Each loan is branded with the worst level of classification resulting from these independent assessments. If a Continuous Credit or a Demand Loan remains non-performing for 6 months or more it is classified Sub-standard. It is classified as Doubtful if it remains non-performing for 9 months and classified as Loss if non-performing for 12 months or more. In the case of a Term Loan, which is repayable within a maximum period of 5 years, if any installment is not repaid within the specified period and if the time-equivalent of such unadjusted balance is 6 months, it is classified Sub-standard. A Term loan is classified Doubtful and Loss if the time-equivalent of unadjusted balance is 12 months and 18 months respectively. Agricultural Loan and Micro-Credit is classified Sub-standard if non-performing for 12 months, Doubtful if non-performing for 36 months and Loss if non-performing for more than 60 months. Under the existing system scheduled banks are required to maintain provisions against unclassified and substandard loans in addition to doubtful and loss loans. They are allowed to book interest against classified loans only on cash basis. Whether a credit is classified or not under the objective criteria, it is subjected to classification under qualitative judgment if any doubt arises regarding repayment of loan. On March 24, 1994 Bangladesh Taka (domestic currency) was declared convertible for current transactions in terms of Article VII of the IMF Articles of Agreement. Consequent to this, current external settlements for trade in goods and services and for amortization payments on foreign borrowings can be made through banks authorized to deal in foreign exchange, without prior central bank authorization. However, because resident owned capital is not freely transferable abroad (Taka is not yet convertible on capital account), some current settlements beyond certain indicative limits are subject to bonafides checks. Direct investments of non-residents in the industrial sector and portfolio investments of non-residents through stock exchanges are repatriable abroad, as also are capital gains and profits/dividends thereon. Investment abroad of resident-owned capital is subject to prior Bangladesh Bank approval, which is allowed only sparingly. The exchange rate policy of Bangladesh Bank aims at maintaining the competitiveness of Bangladeshi products in the international markets, encouraging inflow of wage earners’ remittances, maintaining internal price stability, and maintaining a viable external account position. Prior to the inception of floating exchange rate regime, adjustments in exchange rates were made while keeping in view the trends of Real Effective Exchange Rate (REER) index based on a trade weighted basket of currencies of major trading partners of Bangladesh and the trends of other important internal and external sector indicators. However, the interbank foreign exchange market sets the exchange rates for customer transactions and interbank transactions based on demand-supply interplay; while the exchange rates for the Bangladesh Bank’s spot purchase and sales transactions of US Dollars with ADs is decided on a case to case basis. Bangladesh Bank does not undertake any forward transaction with ADs. The ADs are free to quote their own spot and forward exchange rates for interbank transactions and for transactions with non-bank customers. Licenses may be cancelled if the bank fails to comply with above provisions or ceases to carry on banking business in Bangladesh. The commercial banking system dominates Bangladesh’s financial sector with limited role of Non-Bank Financial Institutions and the capital market. The Banking sector alone accounts for a substantial share of assets of the financial system. The banking system is dominated by the 4 Nationalized Commercial Banks, which together controlled more than 54% of deposits and operated 3388 branches (54% of the total) as of December 31, 2004. Out of the 5 specialized banks, two (Bangladesh Krishi Bank and Rajshahi Krishi Unnayan Bank) were created to meet the credit needs of the agricultural sector while the other two (Bangladesh Shilpa Bank (BSB) & Bangladesh Shilpa Rin Sangtha (BSRS)) are for extending term loans to the industrial sector. The Capital market, an important ingredient of the financial system, plays a significant role in the economy of the country. The Securities and Exchange Commission exercises powers under the Securities and Exchange Commission Act 1993. It regulates institutions engaged in capital market activities. Bangladesh Bank exercises powers under the Financial Institutions Act 1993 and regulates institutions engaged in financing activities including leasing companies and venture capital companies. The SEC has issued licences to 27 institutions to act in the capital market. Of these, 19 institutions are Merchant Banker & Portfolio Manager while 7 are Issue Managers and 1(one) acts as Issue Manager and Underwriter. There are two stock exchanges (the Dhaka Stock Exchange (DSE) and the Chittagong Stock Exchange (CSE), which deal in the secondary capital market. DSE was established as a public Limited Company in April 1954 while CSE in April 1995. As of 30 June 2000 the total number of enlisted securities with DSE and CSE were 239 and 169 respectively. Out of 239 listed securities with the DSE, 219 were listed companies, 10 mutual funds and 10 debentures. The Investment Corporation of Bangladesh was established in 1976 with the objective of encouraging and broadening the base of industrial investment. ICB underwrites issues of securities, provides substantial bridge financing programmes, and maintains investment accounts, floats and manages closed-end & open-end mutual funds & closed-end unit funds to ensure supply of securities as well as generate demand for securities. ICB also operates in the DSE and CSE as dealers. Bangladesh Shilpa Bank (BSB), Bangladesh Shilpa Rin Sangstha (BSRS), BASIC Bank Ltd., some Foreign Banks and NCBs are engaged in long term industrial financing. The insurance Sector is regulated by the Insurance Act, 1938 with regulatory oversight provided by the controller of Insurance on authority under the ministry of commerce. 21 companies provide general insurance and 6 companies provide life insurance. The industry is dominated by the two large, state-owned companies–SBC for general insurance and JBC for life insurance–which together command most of the total assets of the insurance sector. The member-based Micro finance Institutions (MFIs) constitute a rapidly growing segment of the Rural Financial Market (RFM) in Bangladesh. At present, Grameen Bank is the only formal financial institution among them, established in 1983 under a special law with the initial support from Bangladesh Bank. The poor borrowers of Grameen bank who are mostly women own the bank and it is the pioneer organization of this type. Besides Grameen Bank there are more than 1000 semi-formal institutions operating mostly in the rural sector of the country; BRAC, ASA, and PROSHIKA are being considered three big NGO-MFIs. These institutions have an explicit social agenda to cater to the needs of the poorer sections of population, and have a focus towards women clients. Till June 2002 the total coverage of micro finance programs in Bangladesh is approximately 13 million households. Four big institutions including Grameen Bank dominate the micro finance market of Bangladesh. Grameen Bank, BRAC, ASA, and PROSHIKA account for 60% of the total amount of outstanding loans made by all MFIs, and it is widely believed that top 20% institutions account for 80% of the total market. The Grameen Bank alone provides about one-third of the total amount of outstanding micro loans. There is no cap or spread on interest rate offered for deposit and loan in case of NGO-MFIs. However, in practice on average NGO-MFIs offer mostly 5-7% interest on deposits to the members and charge 15% interest on loan in flat method. At present NGO-MFIs are not regulated or supervised or monitored by any single authority in Bangladesh; they are under the system of off-site supervision by the authorities that provide them registration as non-government organizations (NGOs). However, the regulatory issue has come to the forefront because MFIs are providing financial services and products to the poor, outside the formal banking system. Considering the need to develop an appropriate regulatory and supervisory system for this sector the Government of Bangladesh has established a Unit named “Micro finance Research & Reference Unit (MRRU)” in Bangladesh Bank. A high power national Steering Committee under the leadership of Governor of the bank looks after the various functions of the unit. The Committee is also responsible for formulating a uniform guideline and the legal framework of a regulatory body for this rapidly growing financial sector. The unit has already published an operational guideline for these NGO-MFIs with the help of the committee and has been collecting quarterly information since January 2004 on governance, savings, credit, receipt and payment from them. The unit is also providing training to these institutions on the operational guideline supplied to them. Recently the committee has submitted a draft law to the Government, hence it is expected that after the promulgation of the law this sector will be under formal financial system in near future. All these programs mentioned above (guideline, training and information collection) going on under the unit are being considered as the background work towards the formulation of a full-fledged regulatory framework for the micro finance sector in Bangladesh. 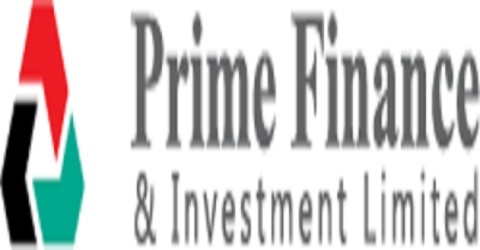 Prime Finance & Investment Limited is one of the leading Non-Banking Financial Institutions. It was listed as a financial institution in 1996. The company call themselves as an Investment banker.It provides diversified financial services to the business sector. It is the fifth ranked leasing company in Bangladesh. With a view to expand the business into the consumer market, PFI management is planning to introduce new products in its product portfolio. Before the introduce of the product in the market, a comprehensive competitor and consumer analysis has been done by the author as a requirement of his internship. The company is one of six that does not use the word “Leasing” with their name. Prime Finance & Investment Limited commenced its journey in the year 1996 with the spirit of rendering innovative, customized and cost effective financial solutions to the corporate houses of Bangladesh as a closely held public limited company. Realizing the untapped market potential for the innovative financial institutions, a number of reputed corporate houses along with some individual professionals joined hands to form PFI with an endeavor to contribute to industrialization and to actively participate in the capital market development of the country. The spirit and Corporate philosophy of PFI is reflected in the diversified product and service mix of the company. PFI is constantly engaged in its effort to broaden its range of product offering from financial leasing, equity financing, issue management, underwriting and many more. PFI is slowly but surely emerging as one of the innovative financial institution in Bangladesh known for its creative pursuits and professional management endeavoring towards offering of a commercial supermarket of financial services to the customers. Result – an extensive clientele – a broad spectrum of industrial houses from fledgling entrepreneurs to many among the market leaders. A new economic order is emerging in the world we operate in with different social and political implications. Century old bottlenecks that once cordoned off the economic units from venturing into uncharted areas have vanished with the emergence of new technology and business concepts. PFI is poised to fill the void. In today’s competitive world there are few opportunities to make a big difference and many opportunities to make a little difference. At PFI, we strive to seize all these opportunities with a pro-market attitude making a big difference to the clients. To be the most innovative investment force enterprising the creation of wealth. To be a commercial supermarket for financial products and services. To maintain integrity and intellectual ingenuity of highest standard. To infuse professional and entrepreneurial spirit among the associates. Mr. M. N. H. Bulu, Chairman and Managing Director of Berstoff Group, is the Director of Prime Finance & Investment Limited and represents Abeeco Industries Ltd. The Group comprises of National Chemical Mfg. Co. Ltd., Shafkat PVC Sole industry Ltd., Bulu International, Bulu Ocean Tower, B.N.S. Centre, Bulu International Indenting unit etc. He started his business in 1980 with marketing of Rexene & PVC products. Subsequently, he has expanded his business in different industrial sectors viz, Plastics, Chemicals, Pvc Sole, Textiles, Hosiery, Banking, Financial, Insurance & Real States. Presently, his Group comprises of 22 concerns in 10 sectors. He is the Director of Dhaka Bank, Homeland Life Insurance Co. Ltd. and Pioneer Insurance Co. Ltd. He has achieved award for being a renowned Industrialist of the country. Apart from this, he is also the member of various Industrial and Trade Associations. He is the President of Bangladesh Rexin & Plastic Sheet Manufacturer’s Association and also member of all the recognized clubs in Bangladesh. Mr. Bulu has widely traveled around the major cities & business center of the world. Lease rentals are treated as revenue expenditure and are entirely deductible for tax purposes. This provides a greater tax benefit for you in comparison to borrowing. Determining the appropriate timing for the issue. Disbursement of Loan As per disbursement schedule mutually agreed by Developer & Prime Finance. Security of the loan Registered mortgage of the Project Land / other security as required by Prime Finance. Provides preliminary information on the potential Joint Venture Partner, its business and promoters. Organizes and facilitates in preliminary discussions on the proposed Joint Venture project.